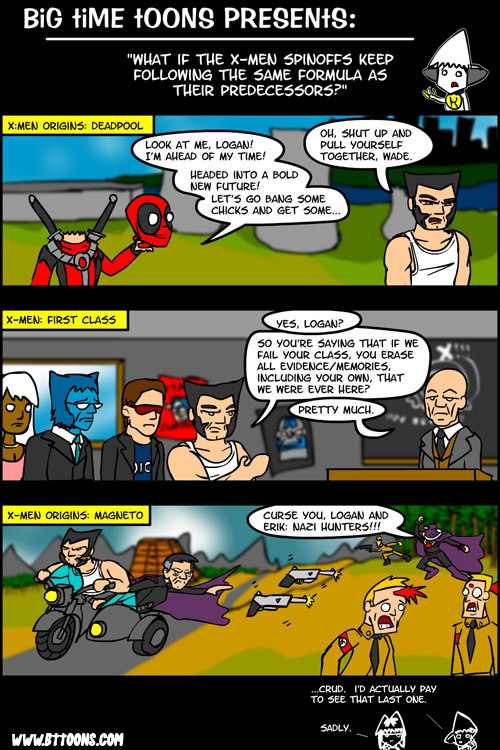 The Magneto movie would be epic. A buddy trek of Erik and Logan on a motorbike across South America fighting Nazi war criminals in the 1950s as they scheme to do something! Featuring Baron Zemo and a ton of gratuitous cameos that add nothing to the story!